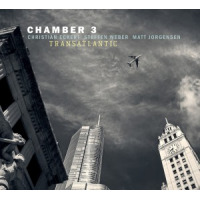 Chamber 3 began as a trio effort started by German guitarist Christian Eckert, and Seattle based drummer Matt Jorgensen, who forged a friendship while studying at the New School in New York in the early nineties. 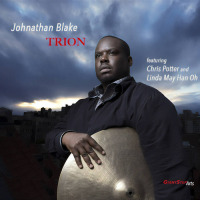 Over the years, they engaged in many projects and tours together, culminating in this project that includes German tenor saxophonist Steffen Weber. The band added a fourth member in the person of Seattle bassist Phil Sparks for their last release, Grassroots (OA2, 2017), and returns the same lineup for the new Origin release, Transatlantic (OA2, 2018). 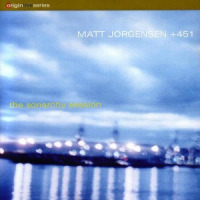 Jorgensen has developed a distinctive sound both in terms of his composition, and his work as a jazz drummer. 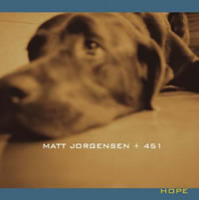 These qualities are heard definitively on his recordings with Matt Jorgensen +451, including the well received recording, Hope (Origin, 2004). 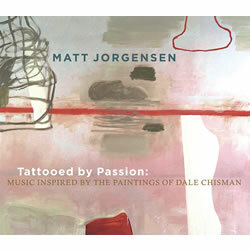 His album Tattooed By Passion (Origin, 2010) brilliantly depicted by sound, the paintings of the great abstract artist Dale Chisman, Jorgensen's late father-in-law. He as well has an extensive resume as a sideman, both on record, and on tour. Saxophonist Weber has a warm, inviting sound that welcomes a listener, much like his historic American counterpart, Stan Getz. His solos are steeped in melodicism and tonal elegance, and are a perfect fit for the stylings of guitarist Eckert. Eckert is a master of jazz harmony, delving into sophisticated extended forms with precision. 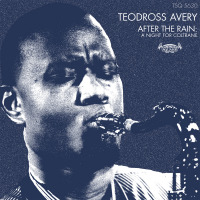 His solos are a quiltwork of well thought out melodic phrases, never overplayed, his musical thoughts unfolding in a stream of tidal consciousness. Transatlantic examines this relationship of two continents separated by an ocean, with original compositions rendering compelling grooves, and standards that speak to the cultures from which they evolved. 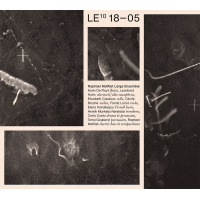 The result is a collection of musical sketches depicting a broad-based creative aesthetic. The opening salvo, "The Sparks," is a Jorgensen piece inspired by the bassist, who as the veteran introduced Jorgensen to many players on the scene in Seattle. 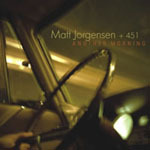 The pulsing, interweaving rhythms of Sparks and Jorgensen harken back to the 451 band, and a musical relationship and friendship that has resulted in many a night on the bandstand, and subsequent recordings between the two. Eckert's penchant for understatement is clearly evident even in this rollicking, pulsating tune, both in his comping and lead playing. Weber's strong tenor voice expresses the narrative of the piece, winding between the intricate percussive stylings of Jorgensen. 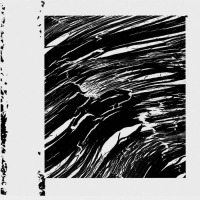 Jorgensen's distinctive work on drums sheds light on the path forward, all the while presenting a commanding presence that one can easily interpret as the leading edge of this project. Eckert's "Hesitant Spring" is a tender ballad, featuring the fine playing of Weber on soprano. There is a sense of melancholy throughout the piece, arising from not only the melody-based approach of Weber, but in the soft interplay between Sparks and Jorgensen. Eckert's chordal wash colors the piece blue, leading to a solo with exquisite tone, and hopeful ambiance. The German standard, "Man Kann Sein Herz Einmal Verschenken," translates to " You Can Give Away Your Heart But Once." 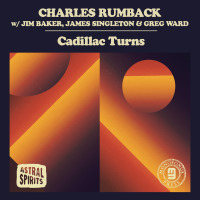 Back-to-back with Weber's arrangement of the American standard, " When You Wish Upon a Star," the final two tracks allude to the cultural and geographic divide that these four superb musicians have overcome to play together. 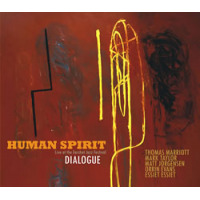 They truly express the inventive insights each contributor makes to this recording, in a very personal sense. Each tune is like a regenerative, liberating journey apart from the thematic intent of each composition. They tend to dabble in the sentiment that inspired each classic melody, rather than the direct narrative the original adaptations expressed. All jazz music has a deep relationship and close connection with the blues. It is a core value of being American as well, the blues expressing our story in variant terms. 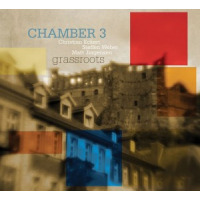 Chamber 3 is aptly titled in that the band operates in a true collective sense, each participant adding musical and cultural elements that blend easily, unforced, into a colorful cornucopia of sound. While Jorgensen and Sparks carry the blues as a birthright, Weber and Eckert have each created a voice that adds to the tradition, echoing their own personal experiences with jazz culture. Together, the music that is created shines as a statement of cultural variance that winds down a broad path united. 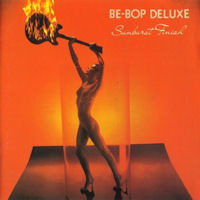 Track Listing: The Sparks; Chillaxed; Cosmic Cow; Hesitant Spring; Costa Del Sol; Black Forest Sound; Naughty Boy; Lu Channel; Minor Moods; Man Kann Sein Herz Nur Einmal Verschenken; When You Wish Upon A Star. 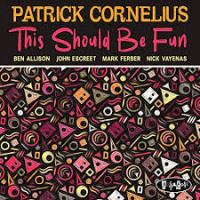 Personnel: Christian Eckert: guitar; Steffen Weber: saxophones; Matt Jorgensen: drums; Phil Sparks: bass.